Continuous delivery of applications has become the new normal for software development organizations across every industry. Software development teams are now expected to deliver new releases and updates at a dizzying pace, putting tremendous pressure on software security teams to keep up. 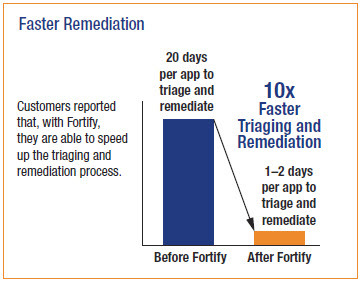 In this report, we detail how development organizations at leading companies are using software security solutions from Fortify to scan more applications faster, focus and streamline remediation efforts with better triaging, and integrate security assurance methods throughout the software development environment.